Your Gateway to the Miracle Zone! 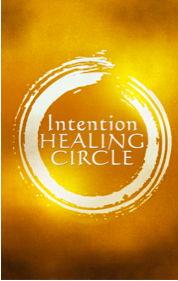 Join our Intention Healing Circle at 5:30 PM EST every day – Monday and Wednesday – for your Intention Booster session. This will power up your intention and sharpen your intuition. There you can become one of our powerful global tribe of Intentioneers by entering YOUR intention for a better life and world. Each time you return, you can contribute to our tribe by sharing the miracles that happen as your intention starts to become your life. Then just stay on the page to hear our thought-leader interview of the day. If you have any questions, email us at support@adoley.com where you will be assisted by our wonderful Customer Happiness Director, Chris DeGroat. We look forward to more adventures with you in the Miracle Zone! Now enjoy your gifts! Look in your email inbox right now. Click the CLICK HERE NOW link and you’ll be taken to the download page for your FREE GIFTS.